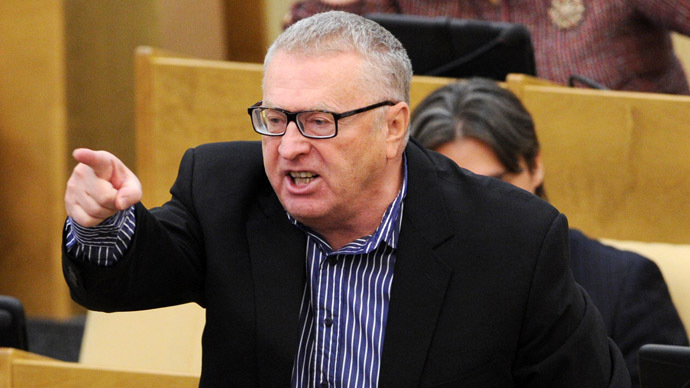 The Fair Russia party has expelled two of its leading members - the father and son Gudkovs - for taking part in the loose bloc of non-parliamentary street opposition. Gennadiy and Dmitry Gudkov were ejected from the party after they failed to respond to a warning issued over a month ago. Fair Russia told them and two more top party members – Ilya Ponomaryov and Oleg Shein – that the four must decide whether to remain in the party or in the semi-formal Opposition Coordination Council that they recently sided with. Dmitry Gudkov currently represents Fair Russia in the Lower House. 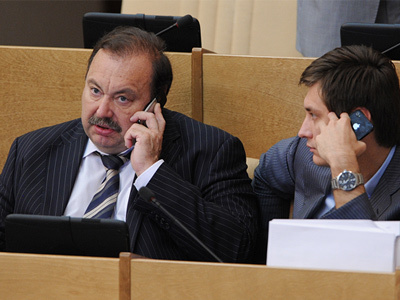 His father Gennadiy Gudkov was elected to the State Duma in 2011 but lost the seat in September 2012 over allegedly continuing to run his business which is forbidden for Russian parliamentarians. However, even after losing the parliamentary seat, Gudkov senior continued to work in the Fair Russia parliamentary faction. 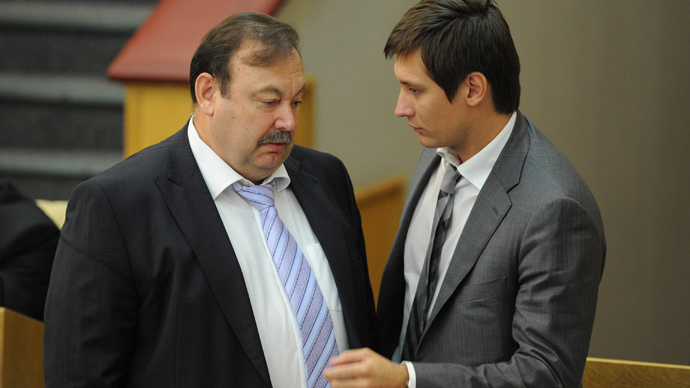 Gudkov senior blamed his ousting on his political stance as he and his son were actively participating in street protests against alleged elections violations and joined the Opposition Coordination Council – the body that represented those who were unhappy with the current political situation, but did not want to side with any political force or propose their own political agenda. The decision to purge Gudkovs out of Fair Russia was made by the party’s Central Council Presidium on Wednesday and the vote was almost unanimous with only one party member – a longtime ally of Gennadiy Gudkov - voting against, saying that the party was not a sect to introduce such strict rules of political behavior. The Gudkovs told the party presidium that they could not make a choice. “I ask you to allow me to continue to work in the party and its governing bodies and also to allow me to work with the Coordination Council I hope for your comrades’ understanding,” pled Gudkov senior, but to no avail. In earlier press comments Dmitry Gudkov suggested that even if he is ousted from the party he would keep the parliamentary mandate and will become and independent MP as Russian law allows. He repeated this position in a television interview after the ousting. State Duma speaker Sergey Naryshkin on Thursday suggested that Dmitry Gudkov could receive a “special status” within the parliament adding that several Fair Russia MPs already are in this position. 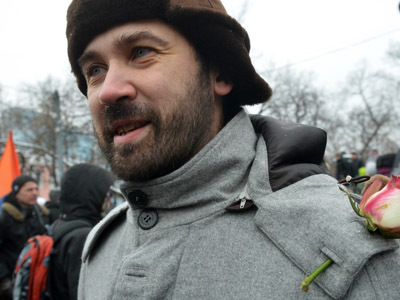 At the same time Fair Russia MP Ilya Ponomaryov (who is Dmitry Gudkov’s ally and an active participant in street protests) announced on Thursday that he was suspending his membership of the Fair Russia party and starting to form his own parliamentary group with a provisional name of “the Alternative”. 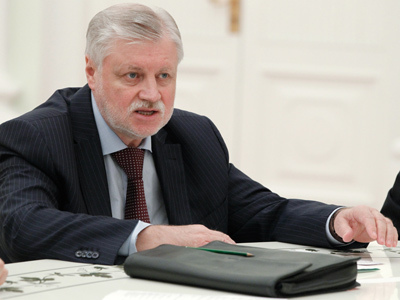 Fair Russia chairman Nikolay Levichev told reporters that Ponomaryov’s announcement he was suspending his party activities meant the MP was quitting the party. However, party official said the final decision would be taken at a special session of the party presidium, and added that it was absolutely normal in his view as any active political group always has people with leftist or rightist inclinations.